As part of our ongoing commitment to providing meaningful information, resources and support for those living with cluster headache, we wanted to share some information about an FDA-cleared, non-invasive, hand-held therapy called gammaCore™ (non-invasive vagus nerve stimulator), which has been shown in two clinical trials to treat pain associated with episodic cluster headache. 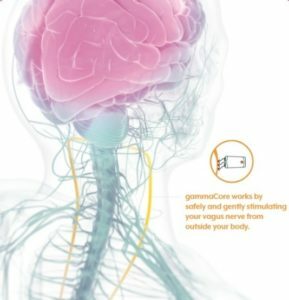 Developed by electroCore, Inc., a commercial-stage bioelectronic medicine company, gammaCore is an innovative non-drug therapy that gently stimulates the vagus nerve to alleviate pain associated with episodic cluster headache, without the potential side effects associated with commonly prescribed medicines. gammaCore treats the pain associated with episodic cluster headache and migraine through the transmission of a mild electrical stimulation to activate the vagus nerve, an important highway of communication between your brain and many parts of the body that regulate pain. electroCore recently released the next generation of gammaCore, gammaCore Sapphire™, which is designed for ease of use and comfort! Check out this video for an interactive “how-to” guide. com offers a Physician Finder feature to assist in finding a healthcare provider in your area who is familiar with gammaCore. To locate a healthcare provider, please use the Physician Finder at https://gammacore.com/physician-finder/. Healthcare providers may be able to offer a 31-day trial of gammaCore to qualifying patients at no cost. To learn more visit https://gammacore.com/patient-support/. 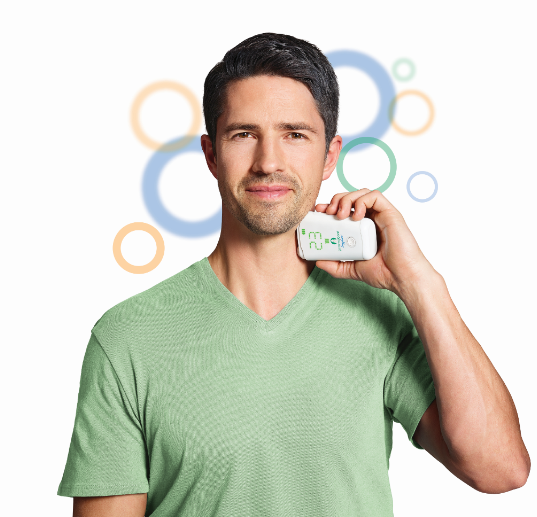 A direct-to-patient telemedicine option for gammaCore is now available for patients. electroCore is working with UpScript Health to connect people with a licensed healthcare provider via phone or video to help determine if gammaCore is an appropriate treatment option. The consultation will only take a few minutes, and if the healthcare provider issues a prescription for gammaCore, it will be shipped directly to your house. To learn more and get started, visit https://gammacore.com/get-started/. gammaCARE Co-pay Assist is available for certain patients who may be eligible to receive help covering their gammaCore co-pays. If you’d like to learn more about whether gammaCore may be an appropriate treatment option, talk to your healthcare provider and visit gammaCore.com. gammaCore is available by prescription only. US Federal Law restricts this device to sale by or on the order of a licensed healthcare provider. Please see Important Safety Information. Please also see the gammaCore Instructions for Use.